Bangkok is considered as a major hub of economical tour destination and there are plenty of options available for flights from London to Bangkok. You can save even more on your flight tickets to Bangkok by selecting stopover flights. It’s also advisable to book your flights well in advance to get highest discount and you will get discounted flight tickets to Bangkok during period of June. There are several ways to keep your budget low when you are booking flights to Bangkok from London. Browse our website or contact us and our representative will make sure that you will get best deals on your flight tickets to Bangkok from London. 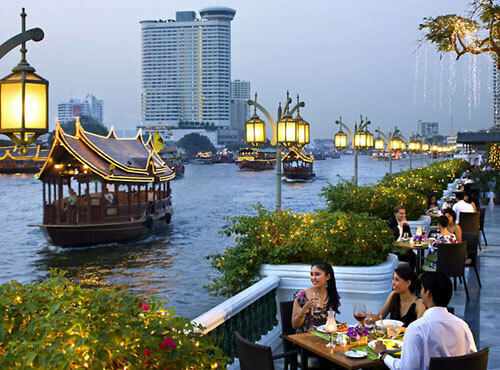 Sky Jet Air Travel offers the best experience of visiting the gorgeous city of Bangkok, Thailand. On SkyjetAirtravel.co.uk you can buy cheap airline tickets from London, United Kingdom to Bangkok, Thailand. The webpage also contains a timetable of the most frequent cheap flights you can choose from. Bangkok is one of the most enjoyable and entertainment location where thousands and millions of people visit from all over the globe. If you are looking for a Thai holiday vacation with your family and friends or a business trip with your office colleagues, it is an ideal place. From beautiful beaches to bright light Chinatown, you can find a wide range of options to enjoy and relax. It is known for its night life, streets are jam packed during the night hours. If you are planning to book your flight tickets to Bangkok from London then plan your travel in advance. The average travel time taken is almost 12-15 hours because of which there are less direct flights. How can I find cheap flights from London to Bangkok? How can I save by getting a cheap ticket? Of course you can save some money by purchasing a cheap ticket from London to Bangkok. Just consider your flight class, book early and avoid the off-peak seasons as well as weekends and holidays. Does the ticket price for cheap flight include any food and drinks? Yes, food and drinks are included in the ticket price for long-haul flights. Which days can I can get a cheap ticket? You can get a cheap ticket mostly on Wednesdays as the least frequent days for travel. The flight from London, United Kingdom to Bangkok, Thailand is around 11hours and 30 minutes long. The timings may vary according to the type of flight, weather conditions, etc. How many flights are there from all the airports of London to Bangkok? All in all, there are about 4 flights per day from all the airports in London, United Kingdomto Bangkok, Thailand. What are the tips for traveling with SkyJet Air Travel? There are several airlines which fly to Bangkok from London, but due to the duration of the travel, most of the flights have one or more stop over. If you are looking for cheap and discounted flight tickets to Bangkok from London then you will have to keep track of all the airline websites and travel agent portals. In order to wave off all the flight booking challenges and hassles, Skyjet offers you a comprehensive platform from where you can not only book your flight tickets but also find up to date information like hotel accommodation, local conveyance, weather update, upcoming events and many more. Choose Skyjet Air travel service and get the best travel deals.